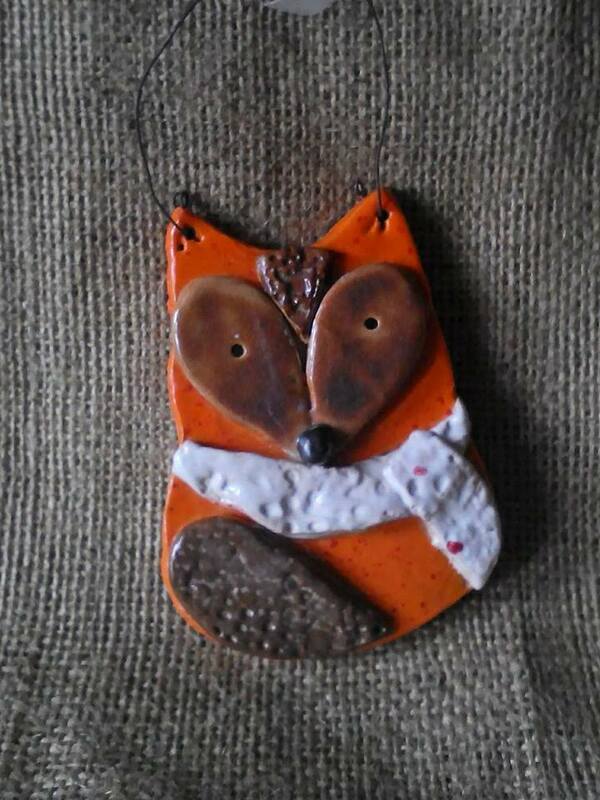 Handmade beautiful and vibrant ceramic fox with scarf. 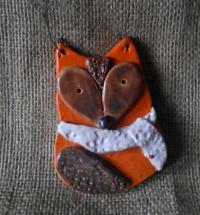 Each one of these hanging foxes are unique due to them being handmade. Each will have slightly different glaze finishes due to kiln firing. These are often made to order and could take up to 1/2 weeks to be made. Please feel free to get in touch with any queries beforehand or to check if we have any readily available if your order is urgent by clicking on the 'contact us' button at the top of the page.